Each of our cells have an internal communication system with our brain. This system is made up of cells containing REDOX SIGNALLING MOLECULES. We are born with trillions of these molecules. As we transition through our teens years, our supply of these molecules declines. 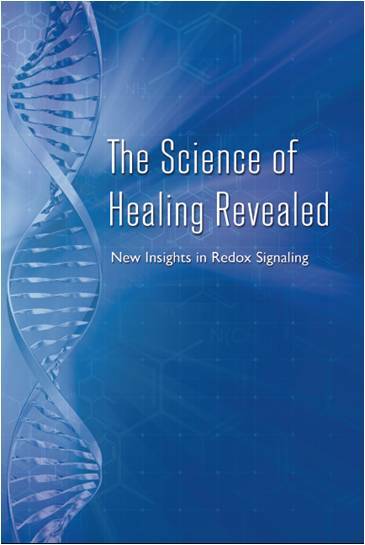 Redox signalling molecules are responsible for helping our cells to communicate with our brain, to give it the information it needs so that our body can begin to mend itself. The more we have of these molecules within our body, the better environment our body has to begin its innate journey to better health. As a Spiritual Healer, Medical Intuitive and Past Life Regression Practitioner, I help clients personally and remotely around the world with physical, emotional, mental and spiritual healing journeys. However, I have found that there is an ingredient to this recipe which is so much needed to help the body to help itself. The missing link. Redox signally molecules. The more we have of these, the easier it is for the body to mend. This receipt to good health includes many factors, and I believe these Redox signalling molecules assist the body to energy heal naturally. Available in a liquid form to help from inside out, and a gel to help the body from the outside in. I have searched for a health product with integrity and one which helps the body to do what it knows naturally, to help heal itself energetically, and this is it. For more information on these molecules and the products I offer please click on this link to take you through to my personal website. If you should have any questions please contact me and I will be happy to assist.